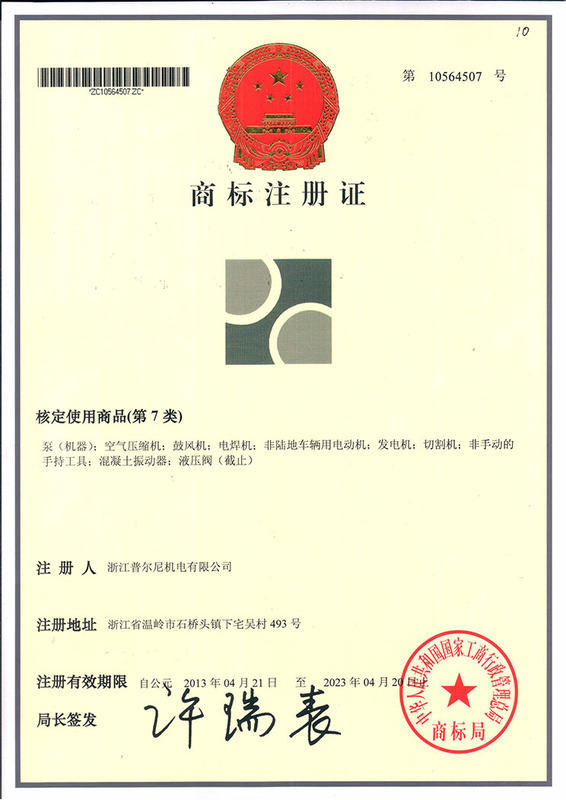 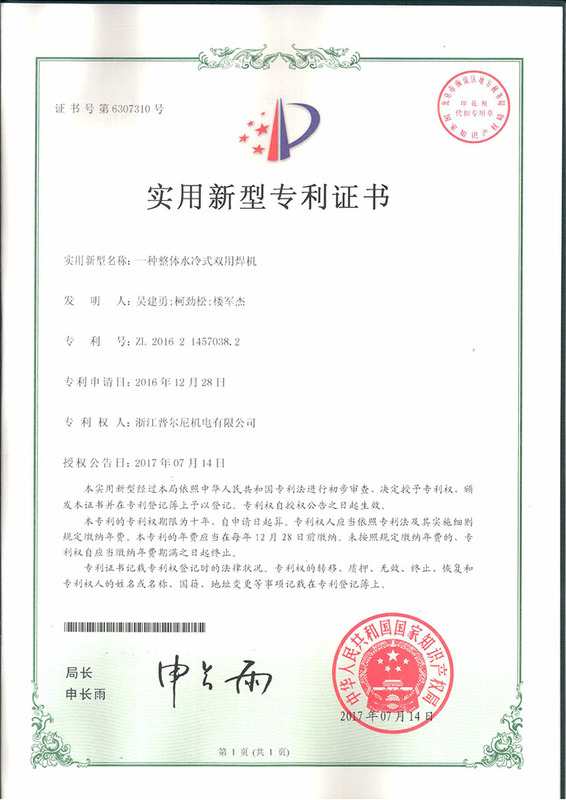 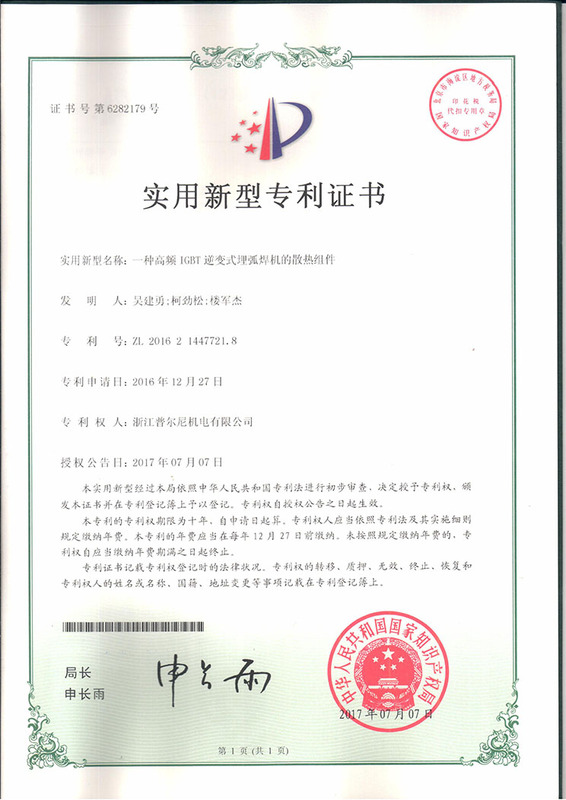 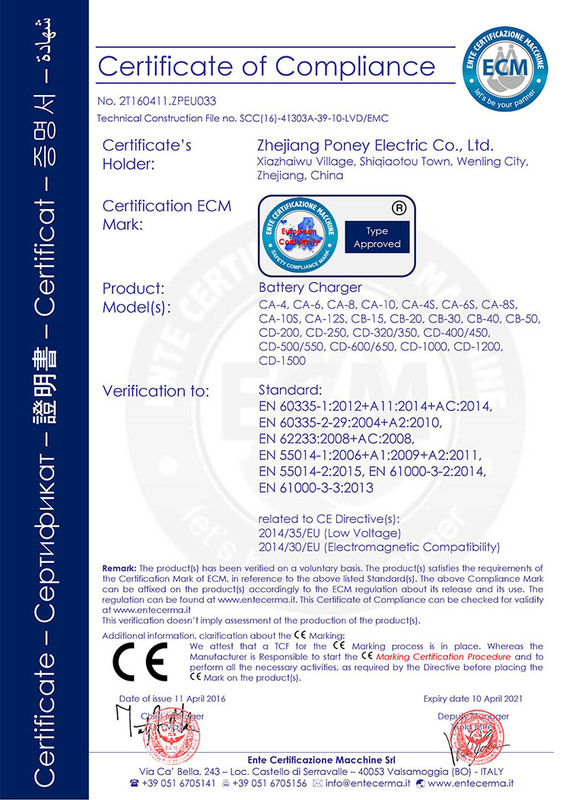 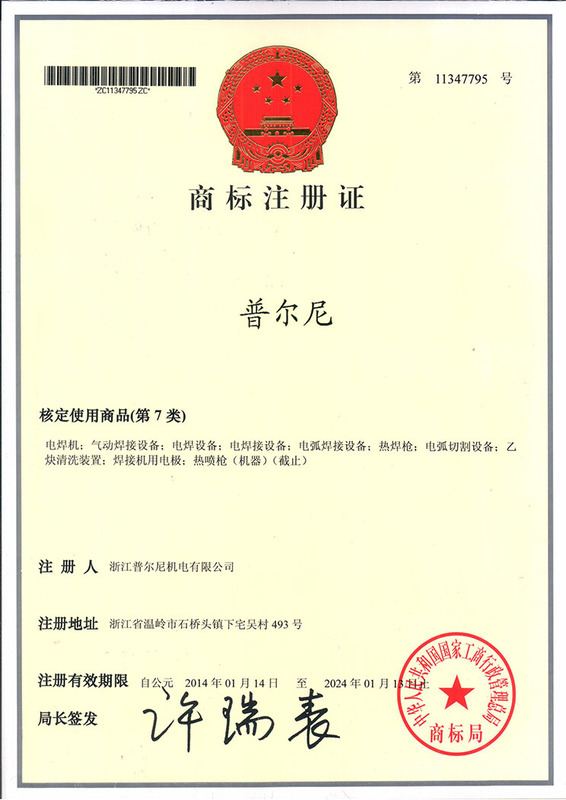 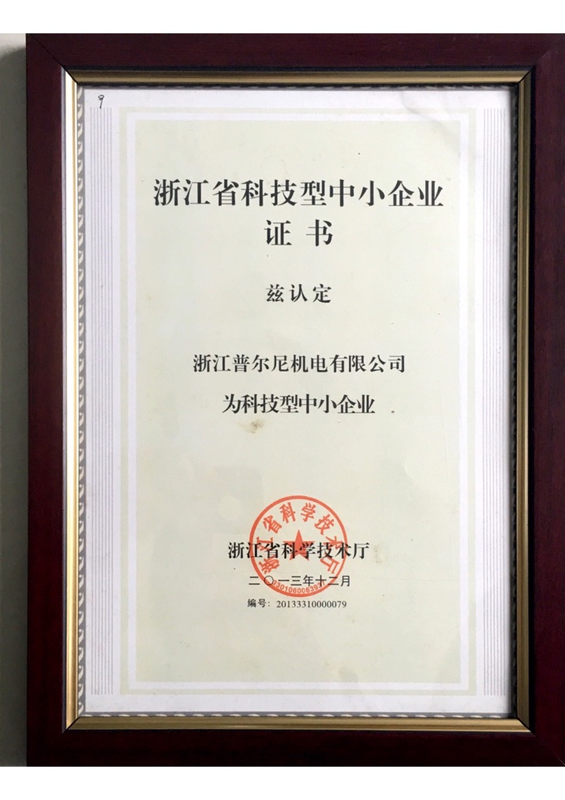 Company Overview - Zhejiang Poney Electric Co., Ltd.
10YRSZhejiang Poney Electric Co., Ltd. 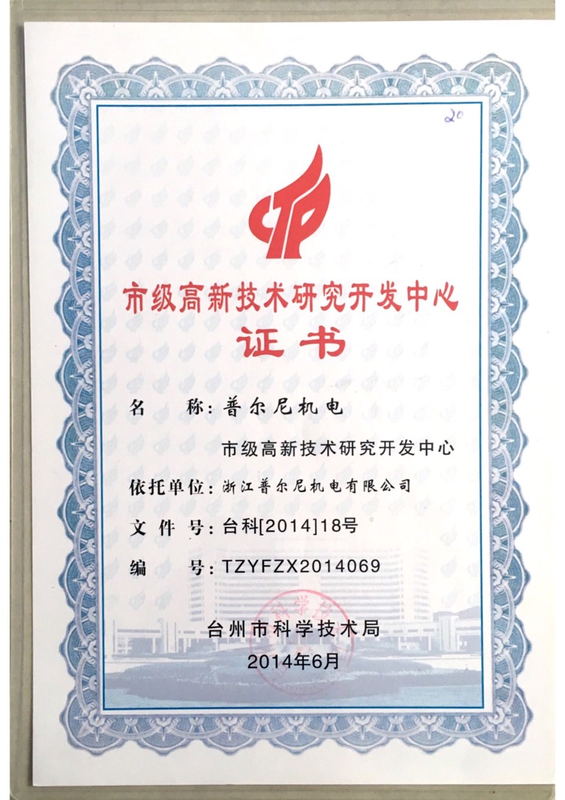 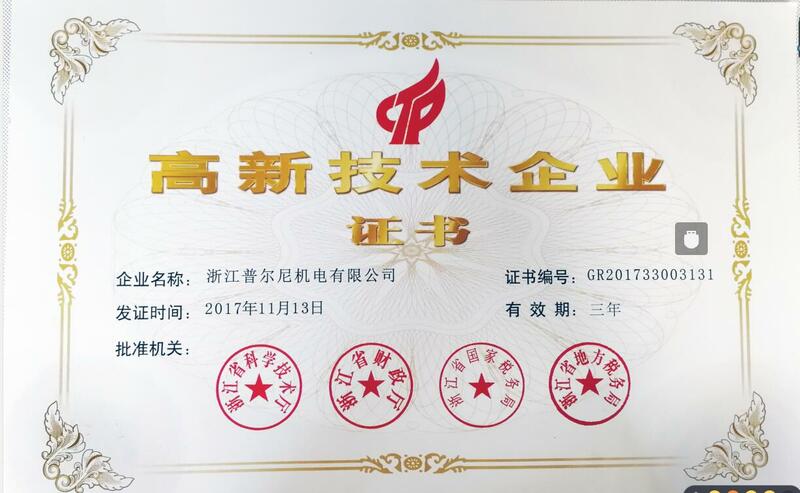 Located in Taizhou , the PONEY limited has established itself as a professional manufacture in the manufacturing of welding machine , cutting machine and car battery charger . 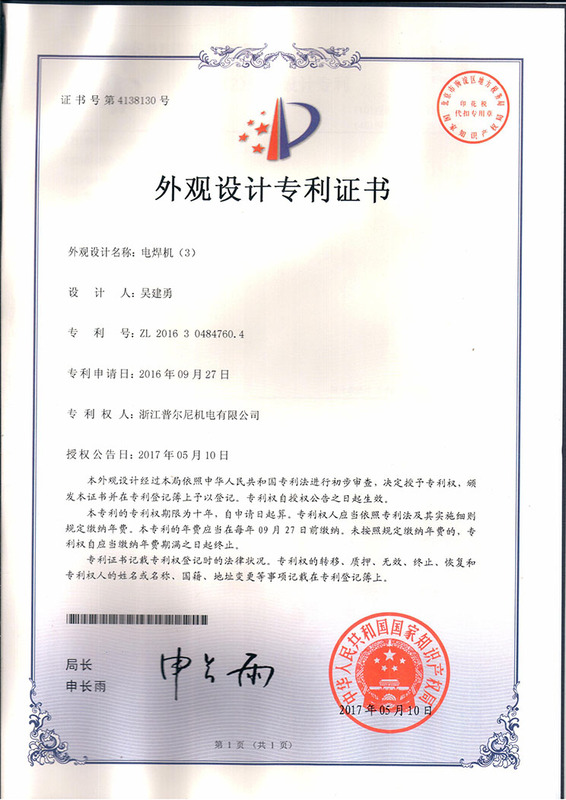 Availability of a diverse range of products of innovative designs and stunning features aimed at all fields ,like hobbyist DIY, automotive industry , building sector ,shipyards etc . 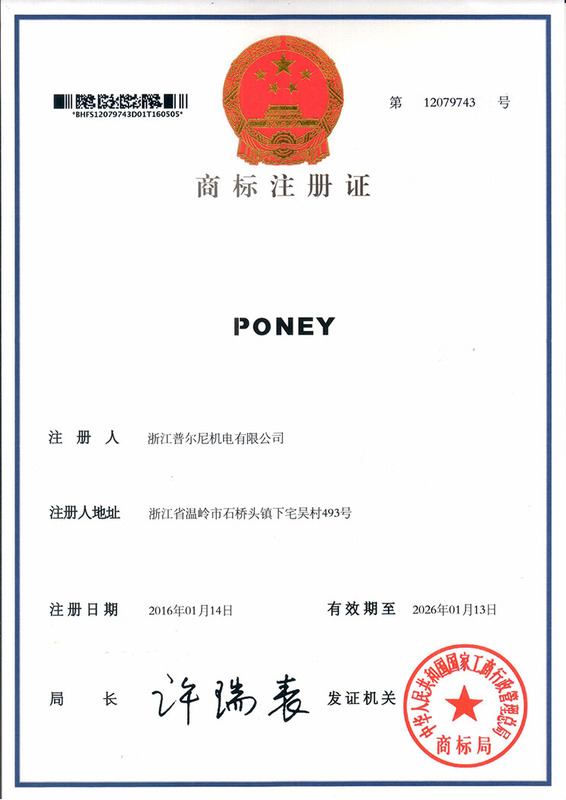 Harnessed the state-of-the-art technology, PONEY is dedicated to provide efficient and effective solutions for our valuable clients and help creating value.Years of continuous investment enabled us to have a vigorous and highly qualified engineering staff and a fully integrated production system , continuously bringing ground-breaking technology onto the market . 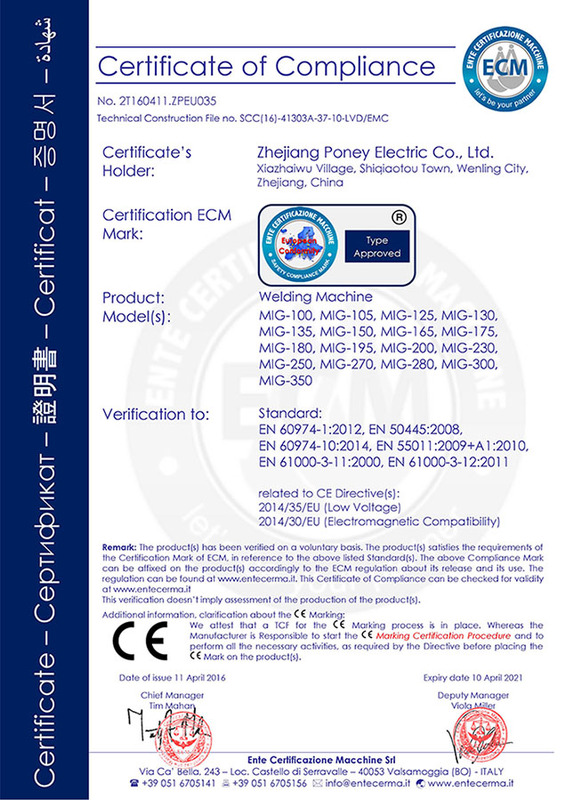 The products are internationally recognized by CE,GS,ROHS,EMC,and ISO9001:2008. 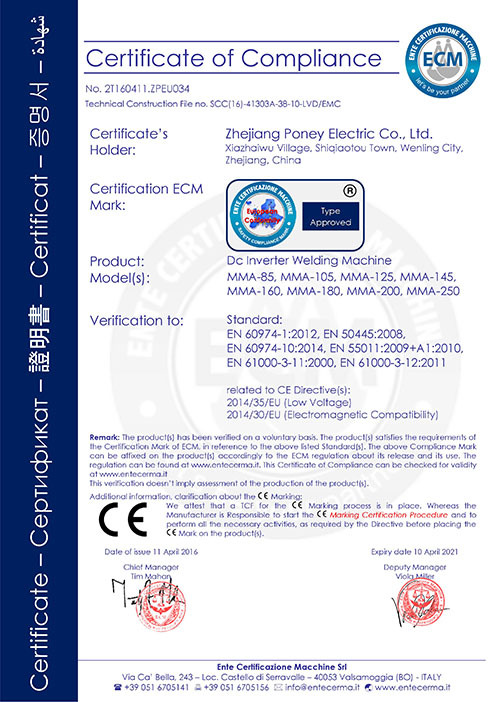 In PONEY , each and every product goes through stringent testings and inspections that always guarantees superior quality which acknowledged by clients from across the world . 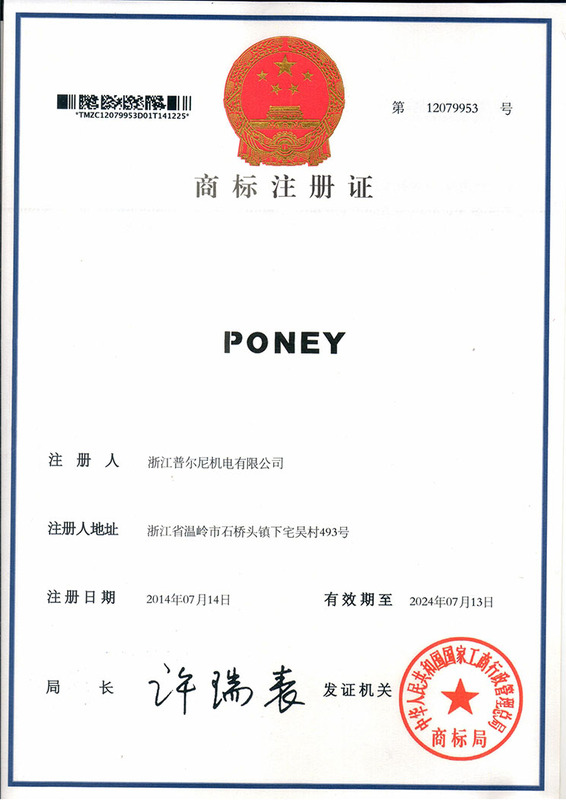 Ever since its inception of operation , PONEY has managed to promote a very special relationship with its clients, proving itself as a steadfast partner entitled to be truely rely on .